Back to the photo blog (eventually I'll catch up with all the pictures... Four more sets now? I think so, including the flower festival when I got back). 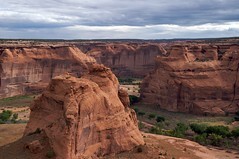 Anyway... Second day (next morning) in Canyon de Chelly before we continued on. these photos are great, and of a lot of places I never heard of. Trip ideas for next year! thanks.